ST. GEORGE — Most Americans are aware of the dangers of driving under the influence but may not be as aware of the dangers of drowsy driving. Utah Department of Public Safety designated the last full week in August as Drowsy Driving Prevention Week in an effort to alert drivers to its dangers and help them avoid drowsy driving. 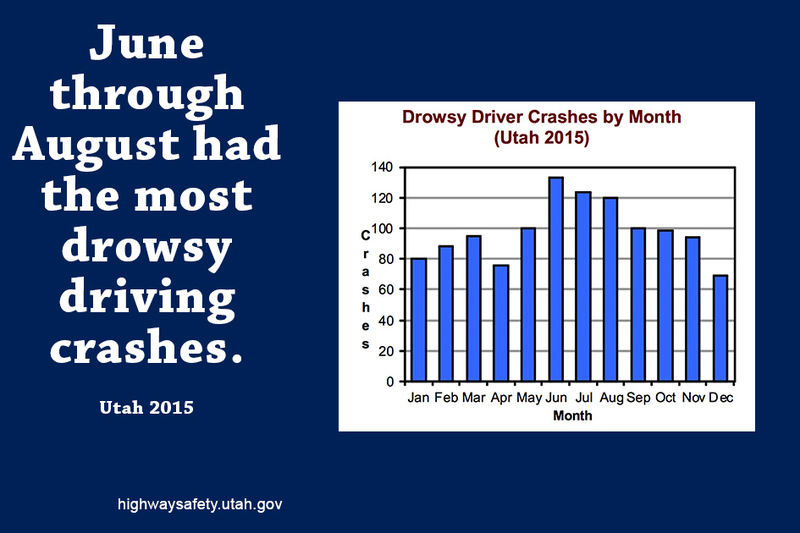 In Utah, nearly 1,200 motor vehicle crashes involved a drowsy driver in 2015. Over the last 10 years, according to according to the Utah Department of Public Safety 2015 Crash Facts report, an average of 18 people died each year from drowsy drivers. The DPS report also shows that drivers ages 15-24 and 75-79 had the highest number of crashes; men were nearly twice as likely to drive drowsy than women; and more than 55 percent of all drowsy driving-related accidents were caused by drivers under 30. The highest number of drowsy driving crashes occured from June-August statewide. Driving drowsy in the U.S. In the last century, Americans have shortened their sleep time by an average of 20 percent. In the contest between the will to stay awake and the will to sleep, experts say sleep will always win, and too often the driver ends up wrapped around a telephone pole. Fatigue and sleep deprivation can be costly, creating a critical traffic safety issue that leads to thousands of deaths each year and causes an estimated $109 billion in damages, loss and societal harm. Putting this into perspective, according to a report released in March by the National Highway Transportation Safety Administration, the total costs for traffic crashes total $836 billion; of that amount, drowsy driving crashes account for 13 percent; distracted driving crashes account for 15 percent; speeding crashes, 24 percent; and alcohol-related crashes nearly 30 percent. The NHTSA report, “Asleep at the Wheel,” was developed through a national coordinated effort that brought together more than 100 experts in highway safety, emergency medicine, automotive design, sleep medicine, the Centers for Disease Control and many others to find ways to reduce the number of drowsy driving crashes across the U.S. The analysis shows that 22 percent of drivers involved in fatal lane-departure crashes were incapacitated at the time of the crash … because they were asleep. Despite a national Gallup poll that said 95 percent of Americans consider drowsy driving to be a major threat to their safety, more than 1 in 4 drivers reported having driven when they were so tired that they had a hard time keeping their eyes open in the past 30 days; and 20 percent reported having done this more than once. 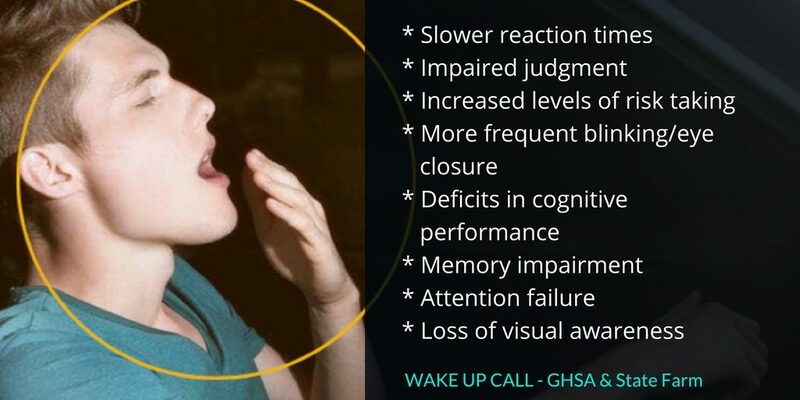 Sixty percent of adult drivers in the United States, or roughly 168 million people, have driven a vehicle while feeling drowsy within the last year, according to the National Sleep Foundation. It is estimated that approximately 6,000 people died and another 71,000 were injured in more than 100,000 drowsy driving-related crashes across the United States last year. Additionally, more than half of those crashes involved a drowsy driver under the age of 25 and at least 15 percent of all heavy truck crashes involve fatigue. Research has identified young males, commercial drivers, people with untreated sleep disorders and shift workers – night-shift workers six times more so – as being at increased risk of being involved in a crash resulting from falling asleep at the wheel. 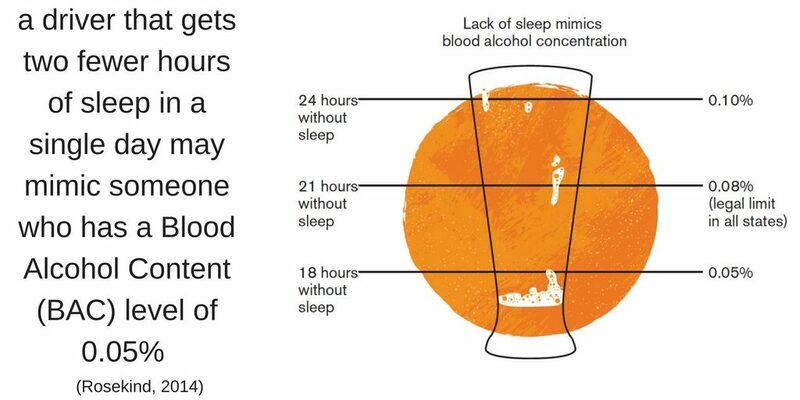 The risk of being involved in a drowsy driving crash triples for those who get six hours of sleep or less. Working more than 60 hours a week increases the risk by 40 percent. Sleep deprivation increases stress and impatience. Drowsy drivers increase their speed more than those who have had sufficient sleep. Most crashes occur between 4-6 a.m. and 2-4 p.m.
Seventy-one percent of all drowsy driving crashes are caused by 18-29-year-old adults. Trouble remembering the last few miles driven. Take a 10- to 20-minute nap. Get out of the car and stretch or jog for a few minutes. Find a safe place to sleep for the night.